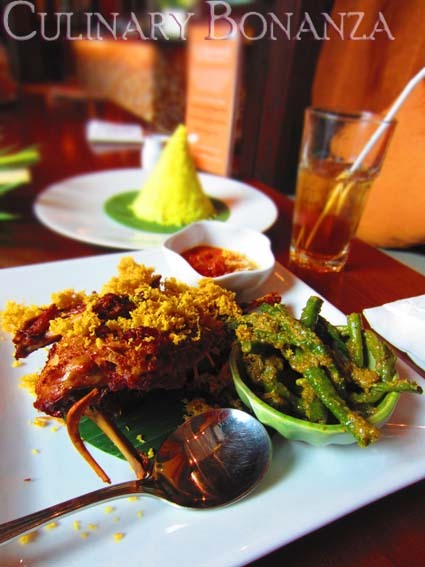 When you are in Jakarta and suddenly crave for some spicy & rich Balinese food, where do you usually go to? 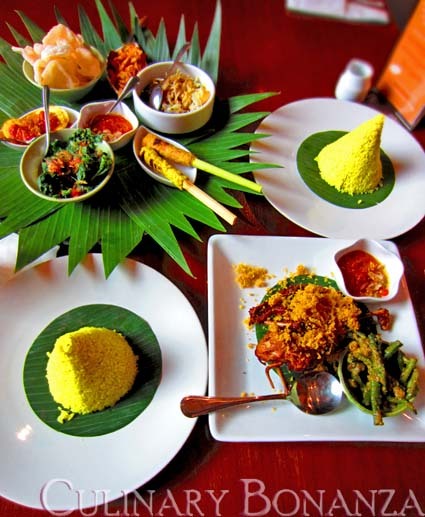 You may already have your own favourite Balinese restaurant in Jakarta, but why not try Le Seminyak at Pacific Place. 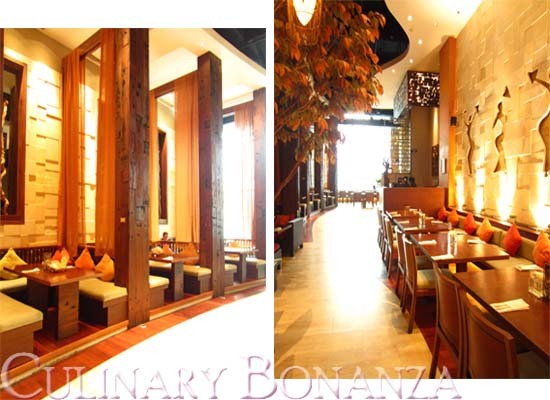 The location inside a shopping mall and its stylish setting offers easy access and a pleasantly modern, yet authentic Balinese dining experience. 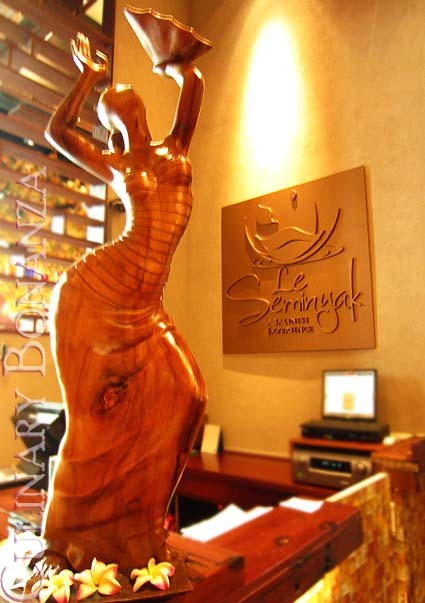 The very first time I set foot inside Le Seminyak, I was impressed by the predominantly wooden interior with high ceiling and tall glass windows. The menu selection was quite intimidating, there was just too many that we wanted to try, but there were only 2 tummies to fill in (and calorie-concious tummies to add to that!). 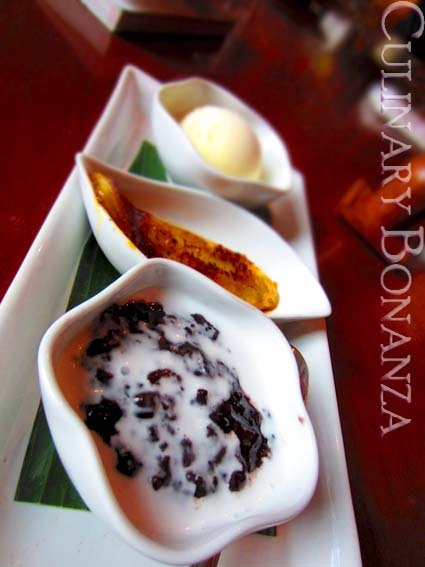 v 2 servings of Dessert Platter, each comes with: Pisang Karamel, Bubuh Injin (black glutinous rice) and Vanilla Ice Cream. Now, that's what I call a good deal of a set menu! 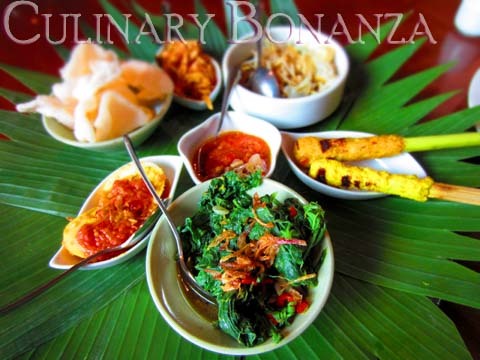 We got to try a little bit of everything, without eating too much, simply perfect for sharing! The place was curiously deserted when we visited though, I'm not really sure why, could it be the location, tucked in a less walked path inside Pacific Place? Whatever the reason is, I will be looking forward to more visits in the future. what a perfect set for two! 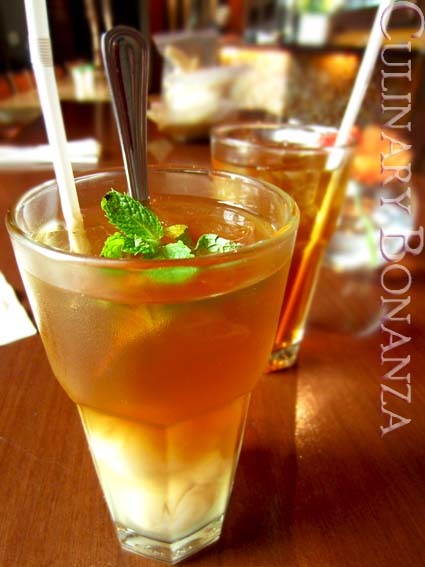 i miss that bubur injin, haven't eaten that for quite some time now..hehe. it's black sticky rice with coconut milk, right? Iya this is Bubur Ketan Hitam, dear. Eaten with savoury coconut milk, sublime!